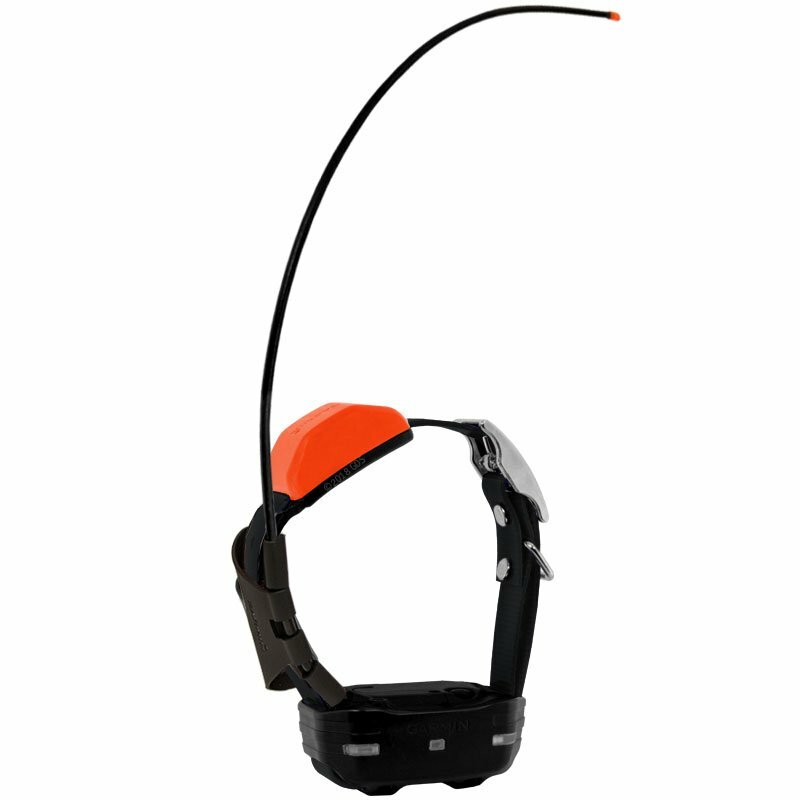 Let's take a look at the Garmin Astro MINI T5 collar. 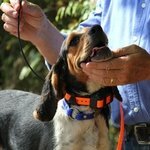 The MINI T5 collar is designed for your smaller dogs. It is a tracking collar only, and it is made for your little bitty dogs. It will go down to at least a 9.5 in. neck, and because it's a tracking collar only, you can get a little bit smaller if you need to. It doesn't have to fit really tight like an e-collar. If it’s a little lose that's not going to be a problem. But that's how small it will go down to. Let’s compare that to the regular T5 collar. So we're talking about a substantial difference here. Weight-wise, it's about 3 oz. less, but really the issue is that it comes down to is it's going to fit on a much smaller dog. We've actually worn this on a dog that was 6 lbs., and while it wasn't the most comfortable thing in the world for him, he was able to carry it around the office without a problem. 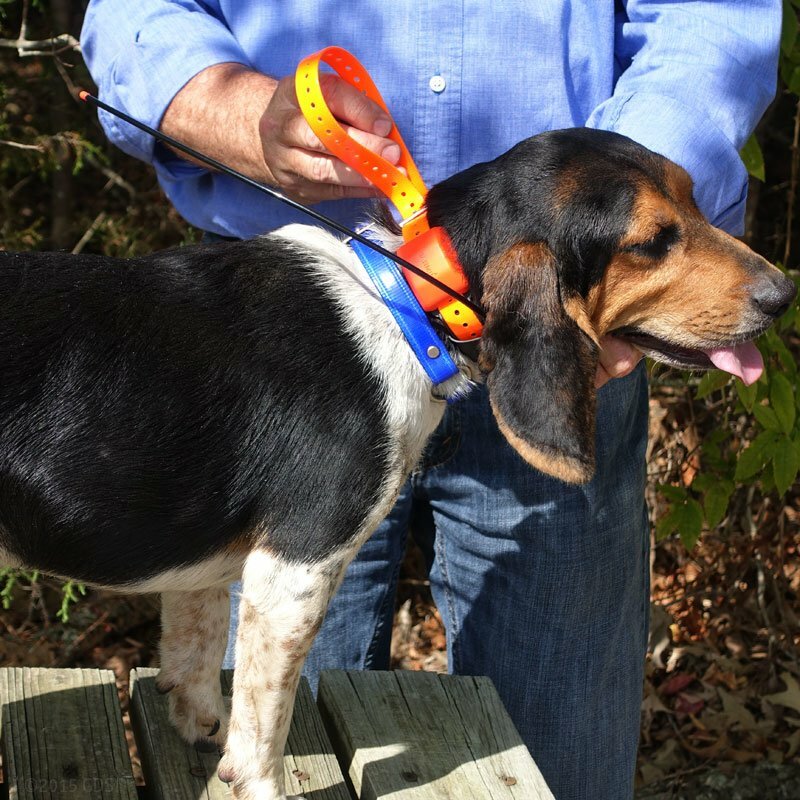 So this tracking collar is built for your smaller dogs. Really designed for your little bitty beagles, your little bitty bird dogs, your smaller squirrel dogs, terriers, anything that's going to be in the smaller size range. I recommend this collar for dogs that are 9-9.5 in. neck up to about a 14 in. neck. Now, as you can see the strap is made where it'll go substantially larger than that, but I don't really care for it for a couple of reasons. Let me show you real quick. Once you get out passed a 14 in. neck, this is what you're going to run into. And you'll notice, this is the GPS antennae, and it's going to end up more on the side of the dog’s neck. Now, GPS antennas are pretty good, and that's not going to kill you on the reception standpoint, but it's not ideal. We’d rather it be up on the top of the dog's neck, but that's not really where the problem is. The problem comes in that all of the weight is now distributed down here. And so what's going to happen on this collar is it's going to rotate. When it rotates, that's going to cut your range. It's hard for me to recommend this for a dog above a 14 in. neck. Most of my Brittany’s have a 14 in. neck, and they can comfortably wear this, but my larger pointers are going to be 16-17 in. necks, and for them, it's really not going to be ideal. So, little bitty dogs, this is perfect, your bigger dogs, I’m not really going to recommend it. And the main reason I'm not going to recommend it is because when you go to the smaller package, you're going to lose 2 things. You’re going to lose range, and you're going to lose battery life. Let’s talk first about battery life. The larger collar in the fastest update is going to get around 24 hours of runtime. This collar, in its fastest update rate, is going to get about 16. So 8 hours can make a pretty big difference if you're looking for a lost dog. So if your dog is big enough to wear the bigger collar, I think you're better off to stick with it from that standpoint. That's really the only major difference. Range is the other issue. Garmin lists the range on this collar at 4 miles. -- maximum 4 miles, where they list the regular T5 at a maximum of 9 miles. Now, I’ve always felt that was a little optimistic. I've never gotten that kind of a range out of a T5 collar. The most I’ve ever gotten is in the 6.5 range, and that was with a long range external antennae on my truck. We’ve been testing the MINI collars side by side with the regular collars, and so far they've gone toe-to-toe with them. We’re really not seeing any differences in the range, so that calls me to kind of go and say what are they doing here. Why are they underselling this product? Well, after talking to some of the engineers, my understanding is that the smaller collar is not as powerful as the large collar in extreme distances. So if you're using an external antennae, and you’re in a flat open sort of situation, you're going to get more range out of the larger collar than you are the smaller collar. But everything I’ve tested here has been in the southeast where we have a lot of rolling terrain, a lot of trees, and so far I guess I just haven't hit that maximum with it. Right now the best I’ve gotten out of this collar is 4.5 miles. And that was in some pretty nasty stuff. So using an external antenna, that's pretty good. 4.5 miles is a long way for most dogs. So, overall, pretty happy with that. All the same features as your regular collars, and you can use them in conjunction. So if you have a small dog and a big dog, you can run the MINI collar with the regular T5 collar. You can still run it with your DC20s, your DC30s, your DC40s, your DC50s, and your T5. So, it works great, pretty happy with it, we like the package, and it's a neat collar. Just like the T5 you can take this and use it as a tracking collar only on the Alpha, and has all features as on the Alpha, but same thing there. This collar is designed for your smaller dogs. 9 in., 9.5 in. neck, up to about 14 inches. If you've got a dog with a bigger neck size than 14 in., then I’m going to recommend that you step on up to the regular T5 collars. "Just right for small hunting dogs (beagles)"
Works good. 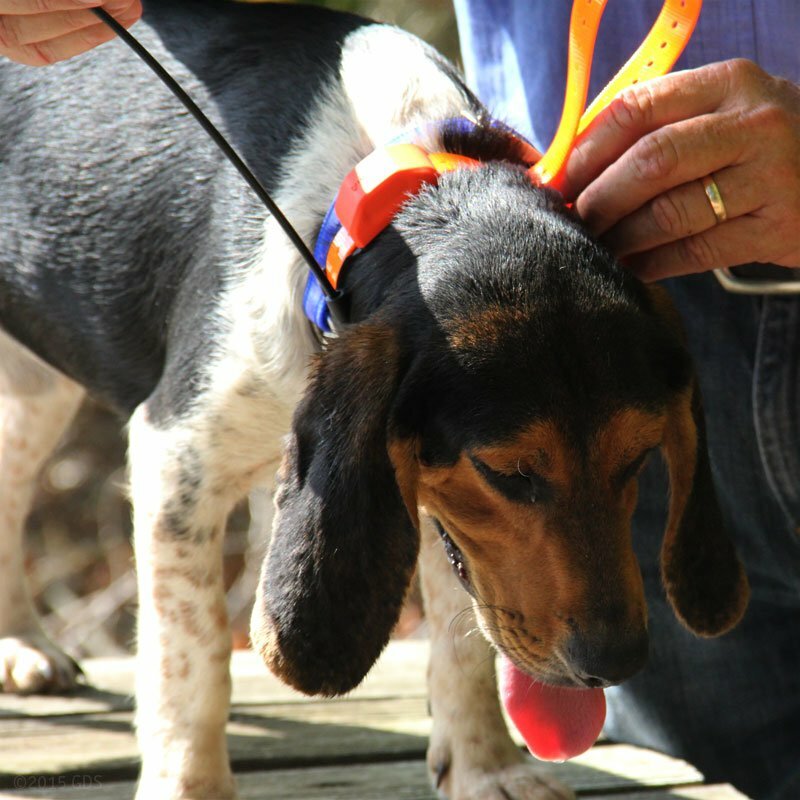 The smaller size is just right for small hunting dogs (beagles). 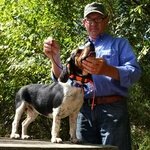 Works great on short legged beagles. Fits puppys nice. Have ran them with it around 4 times so far. It works great. It doesn't bang up the dog's legs and a whole lot more range than any other DC collar. I'll be buying more of them. "Lighter and smaller than the combo tracker / trainer." Exactly as described. Watch the video. Tracking only. Not for training. Lighter and smaller than the combo tracker / trainer. "Very on par with the DC50"
This is my second collar. I have a DC50 also which was way to large for my new female. The T5 Mini fits her perfect and doesn't seem bulky. Tested in the field and had good tracking and range and seems very on par with the DC50. My female is in the 35-40 lb range. The collar is too small for my 50 lb male. The GPS sensor is not on the back of the neck where it should be. Battery doesn't last as long as the normal T5. "Small, holds a charge, and seems to be very accurate." I've only had this unit for a few weeks, but I like it. 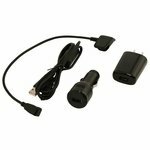 Small, holds a charge, and seems to be very accurate. Most importantly, the dogs seem to like them better than the larger TT10 and 15 units. When my original TT10 units die I will replace with these mini-units. "The T5 Mini and the T15 collars are great and have all the features in one collars I have wished for for years." 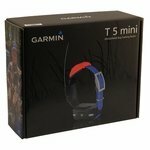 The T5 Mini and the T15 collars are great and have all the features in one collars I have wished for for years. I still am struggling having recently changed from the Astro 320 to the Alpha with the very sensitive touch screen and how it frequently resets a function or changes mode in your pocket. Works good, thanks for getting the charger sent so quick! 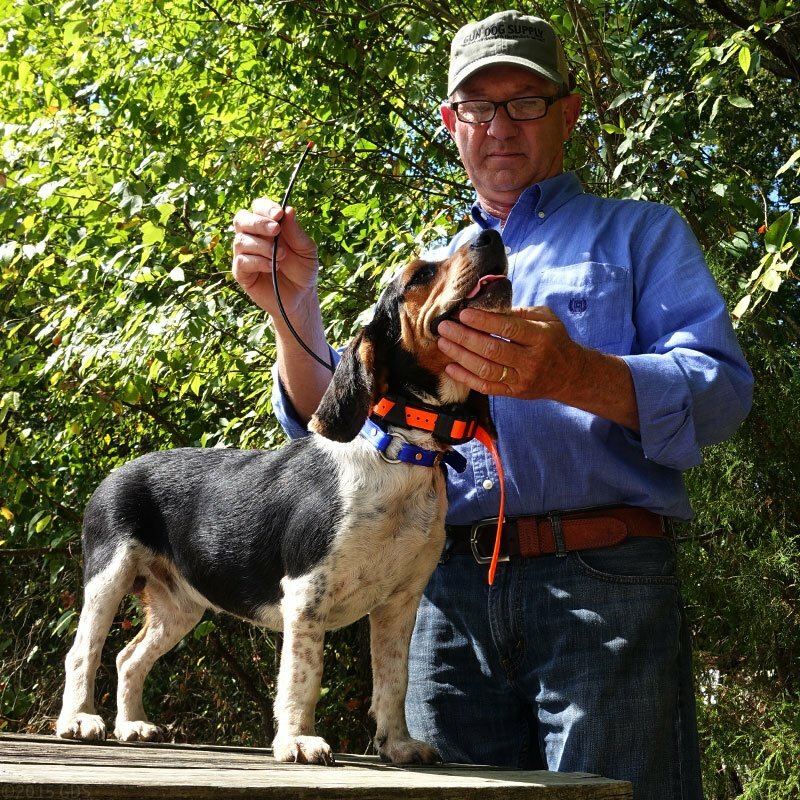 Works good, the smaller size is just right for small hunting dogs (beagles). The smaller size works well on my 32 pound dog. He is comfortable with it. Range appears to be comparable to the T5. Will always know where he is and can be sure he'll be going home with me. I now have T5 collars for all 3 of my hounds. 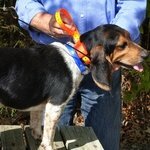 The collar is excellent for the smaller breed dogs like beagles. The tracking is excellent. I'm not sure of the range, but I can say my beagles never made it out of tracking distance. I don't think it's going to be an issue unless they start running trash (deer). The only issue I have is that the damn thing is half the size as my fifties, but the same price. If they could do a little better on the price this collar would be top notch. 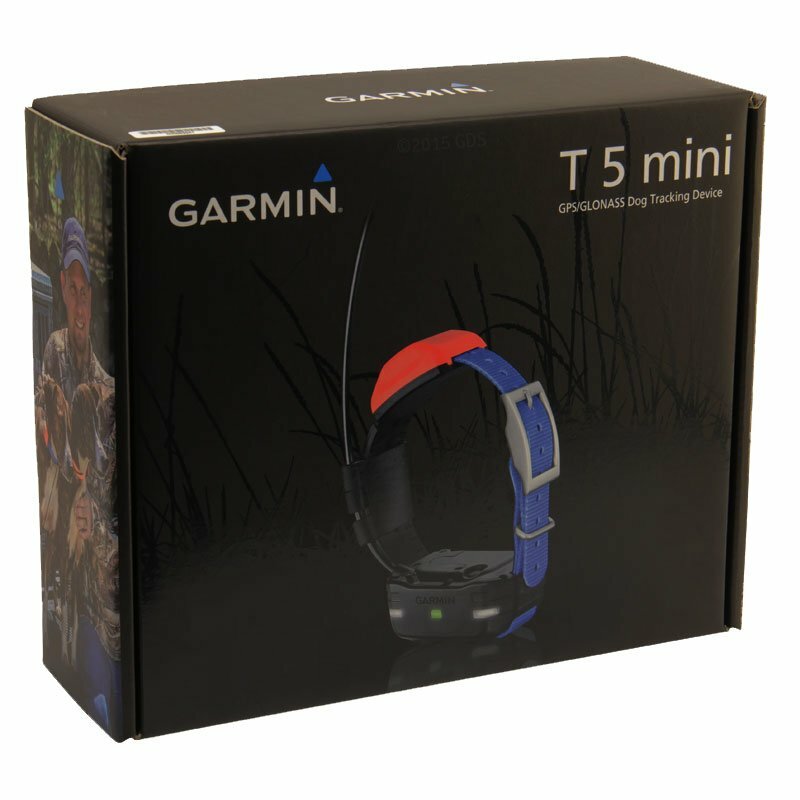 The mini collar is much smaller than the original Garmin tracking collar and works well. I use it in conjunction with a Garmin trashbreaker e-collar. My smaller beagles aren't affected by the size of both units around their necks. Please note that Astro 320 handheld users will require a software update to use the T5 MINI GPS collar. Click here to learn how to update your software for free. User replaceable 3/4" collar strap fits neck sizes between 9.5" and 22"
The Astro/T5 MINI Combo comes standard with an orange collar strap. Additional collars come from the factory with a blue strap. We give you the option of 10 different strap colors: Orange, Black, Blue, Green, Red, Yellow, White, Silver, Pink, or Violet so you can easily keep up with different dogs! The AKC Performance Events Department has approved the Garmin T5 collar for use in pointing breed field trials and hunting tests.